Depending on countries, Safar’s month began today or will begin tomorrow. Non exhaustive review. On Tuesday, 3 December, was the 29th Muharram, first month of Hegirian year, Muslim year (the equivalent of January’s month). 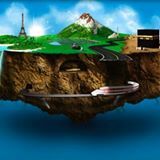 Every month of Islamic calendar has 29 or 30 days. We have to see the sky, if the crescent moon (Hilal) appears or not, then we can determine the first day of the following month. When the Hilal is seen, the first day begins the day after or the day after the day after. In the second case, the actual month has 30 days. So Yesterday, almost everywhere in the world, but unfortunately not in France, local committees have observed the sky to find Hilal. 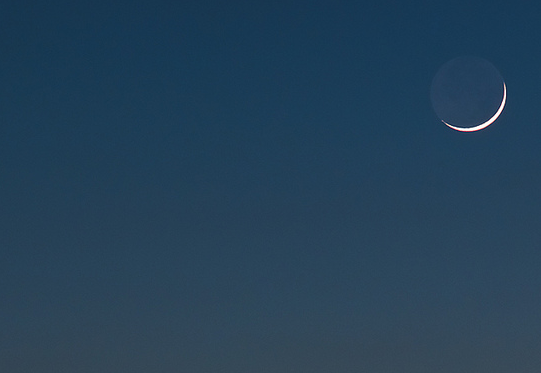 In some countries, the Moon’s Crescent was seen. 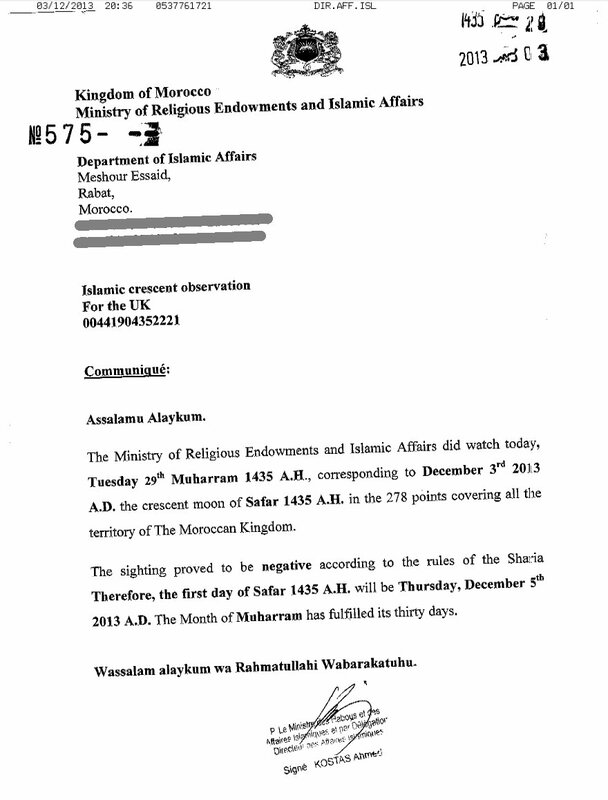 In others not, like in Morocco, has exposed this fax by this specific site Moon Sighting for UK. On Twitter, Jamiatul Ulama South Africa, Muslim council in South Africa told the Hilal was not seen. When Hilal is not seen on the 29th day, we have to add another day to the actual month which becomes a 30 day’s month. In this case, the 30th Muharram 1435 was Wednesday, 4 december 2013 and the 1st Safar 1435 was 5 Thursday, December 2013. But, Hilal was seen in some states in USA, regarding Muslims in Chicago: in Columbia, Seattle, Missouri, California and some isles in Carraibes. In Canada, the Observing Committee of Hilal took the observations of Chicago Muslims for saying the 1st Safar 1435 is the Wednesday 4 December 2013, so today. 4. Saudi Arabia. We verified, the 1st Safar in Saudi Arabia is Tomorrow, so not today. And France? Well, as usual, almost everyone expects that duty to be done by others. And nothing is done up to the next psychodrama in the end of June next for the first day of Ramadan? Some will choose to follow the beginning of the Ramadan in Morocco, others, Ramadan in Saudi Arabia, others in Turkey, or others in Tunisia or Algeria, and other fasting like Senegal. So literally, in perspective a mess. Islam in France as usual.